You can't always identify why, but sometimes you bump into a painting or an illustration (in this case, both) that really speaks to you. 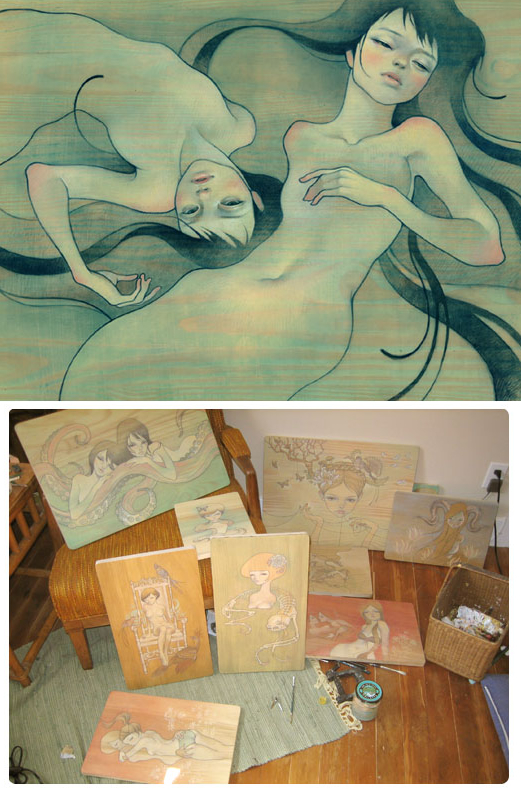 When I first saw the works of Audrey Chihiro Kawasaki, I stopped dead in my tracks. Audrey is a 24-year-old LA based artist who spent 2 years studying fine art painting at the Pratt Institute in Brooklyn before heading out west to pursue her dream. 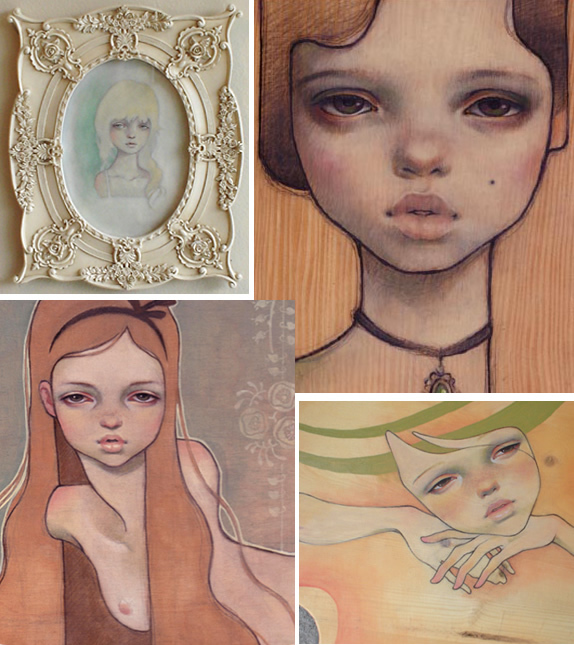 Influenced by manga and art noveau, Audrey's work combines innocense with seduction (I love work that is full of contradiction), flora with the fauna, melancholy yet somehow hopeful... And my favorite, she uses oil on wood, many of her works with the wood grain being very obvious, which is exactly what pulled me into her work in the first place. Some of her pieces would fit perfectly into a vintage modern home, others would be lovely over a credenza in a mid century modern home (especially those with the wood grain). I especially love the colors she uses, the soft strokes, and the details of those come hither eyes. 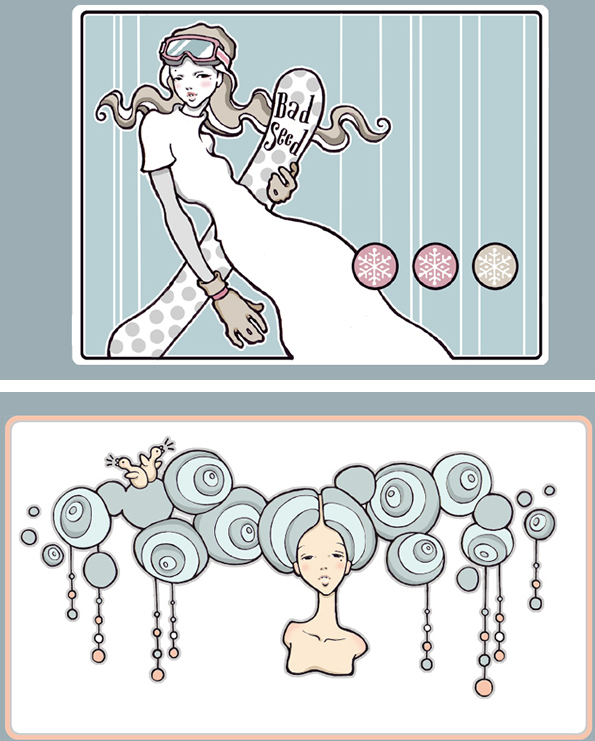 Visit her website to view her paintings and illustrations, and don't forget to check out her blog, too!